PRP is a natural product created from your own body. A small amount of blood is drawn from you and placed in a sterile tube that is spun down in a centrifuge to separate the different components of the blood. Red and white blood cells are divided from the platelets and the plasma (clear fluid). This plasma now contains higher than normal number of platelets and is called platelet rich plasma, or PRP. 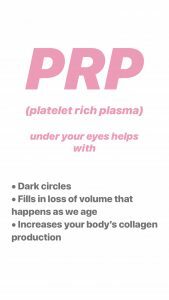 What is a Platelet Rich Plasma (PRP) for Facial Rejuvenation? Platelet Rich Plasma (PRP) for Facial Rejuvenation not only adds volume to your skin, but also stimulates the growth of new tissue by using growth factors found in your own blood. Platelet Rich Plasma (PRP) for Facial Rejuvenation is a safe and proven method to help reduce the aging process. 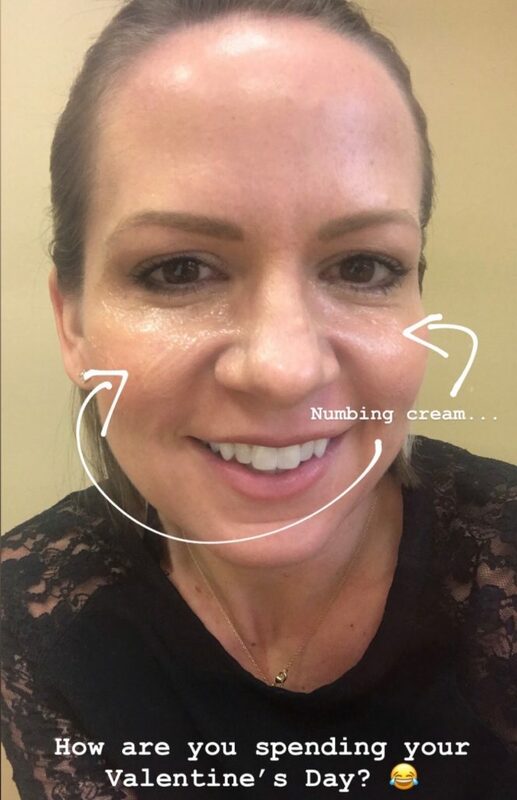 After this procedure you will see your aging skin transform — skin that has become discolored or sags will become smooth and rosey. How Does Platelet Rich Plasma (PRP Treatment) for Facial Rejuvenation Work? 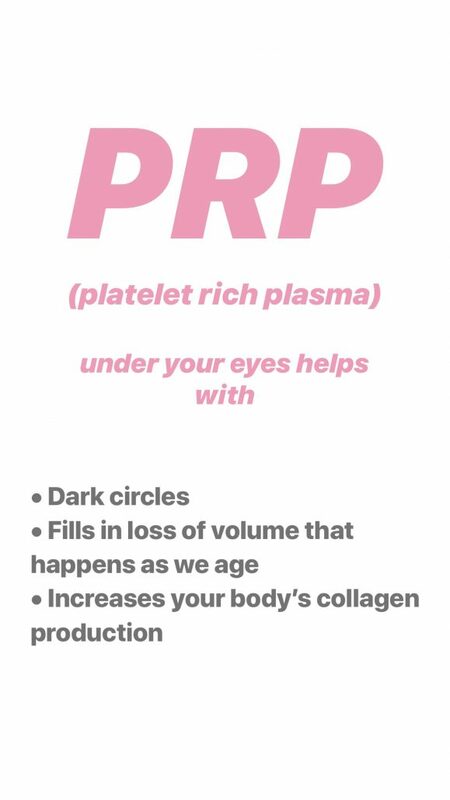 Platelet Rich Plasma (PRP) for Facial Rejuvenation is typically performed in conjunction with other cosmetic fillers that add volume and contour to your skin. A small amount of your blood is drawn and processed in a centrifuge to separate the platelets from your blood. A process is then used to release growth factors from the platelets. This procedure produces Platelet Rich Plasma (PRP). These growth factors are then injected into the treatment area to stimulate stem cells that produce new tissue, such as collagen, blood vessels and fatty tissue. With Platelet Rich Plasma (PRP) for Facial Rejuvenation, we use PRP, or platelet rich plasma. We take some of your blood and spin it down into a centrifuge. We then get the plasma, which has the platelets in it. We remove and discard the red blood cells, and are left with a yellow serum that has all the growth factors. The serum has all the great factors of blood, plus the platelets, which stimulate everything to grow inside, such as the collagen, or angiogenesis. This makes new blood vessels and is great for your skin. You can then inject the PRP into the face, just underneath the skin. Over time, you can get around 10-15% more volume in your face, which can last a few years. It takes about 8 weeks to see. The PRP treatment also gives you a better glow. It helps with your pores and your blemishes, and it gives you overall healthier looking skin. The procedure is typically complemented with fillers, which helps with wrinkles. While your cheeks are full from the PRP injection, we add filler to your cheeks and lower eyes. Overall, everything is performed in one procedure that typically only lasts an hour. 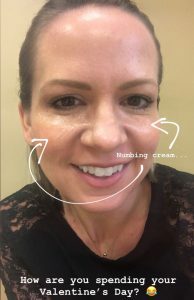 Adding the filler will help with wrinkles that are present, and when combined with the PRP treatment, can really help improve your appearance and give you a younger and more rejuvenated look. Why choose Platelet Rich Plasma (PRP) for Facial Rejuvenation? After your Platelet Rich Plasma (PRP) for Facial Rejuvenation session, you’ll see your skin color improve as new blood vessels form, and will stimulate collagen growth that will form in the skin to give that plump look associated with youth. This is caused by the use of your own stem cells that give the Platelet Rich Plasma (PRP) for Facial Rejuvenation its impact. These stem cells can be used to encourage your body to create new, younger skin cells. Your stem cells are the building blocks of the body, facilitating healing and stimulating the growth of new tissue. Your stem cells along with added dermal fillers, we can return the youthful volume to your face and give you back your beautiful facial shape. After just one Platelet Rich Plasma (PRP) for Facial Rejuvenation session, you see gradual improvements in your skin. Optimum results typically take two to three months. Your results from Platelet Rich Plasma (PRP) for Facial Rejuvenation can last one to two years. To get the longest-lasting results, you should protect the health of your skin with a daily skin care regimen and protection against sun exposure. 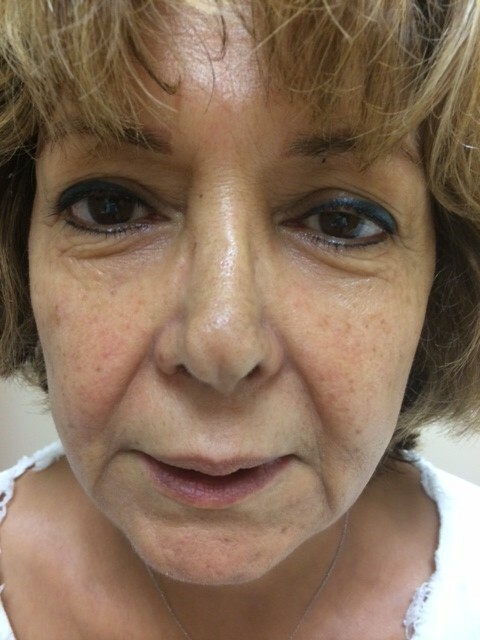 Ready for Platelet Rich Plasma (PRP) for Facial Rejuvenation? Contact Vivia Center today. How Does PRP Treatment for Hair Growth Work? In hair restoration, Platelet Rich Plasma (PRP) will be injected into the scalp. The application of PRP causes miniaturized hair follicles to become healthier and larger, producing more robust hair growth. 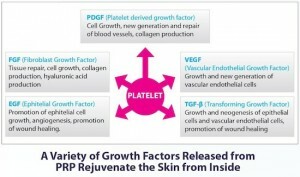 PRP activates follicular progenitor cells (adult stem cells) and PRP is loaded with growth factors that promote rapid angiogenesis and localized cell growth. Effective for both male and female pattern hair loss, PRP has also regrown hair in alopecia area, eyebrow hypotrichosis and other patient cases with non-hereditary hair loss. 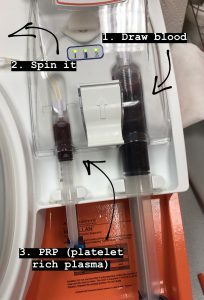 The PRP treatment requires preparing a small amount of the patient’s own blood (60 cc). The blood is then placed into a centrifuge and spun down into a powerful serum (derived from the separation of white and red blood cells, and platelet rich plasma) to help initiate cellular regeneration within your scalp. The platelets are specifically isolated, then combined with a biotechnology product called ACell, and then injected into the areas of thinning hair. A patient’s response to the procedure can vary from person to person, and will depend on the individual healing ability of one’s own body. Individuals receiving PRP therapy exhibit improvement after about 2 or 3 months, and can be repeated every month for the first four months. Patients who are good candidates for Platelet Rich Plasma (PRP) injection are ones who have just started losing hair. They understand this is not a cure for baldness but rather a possible solution for thinning hair. They indicate they are not interested in surgery, they want to prevent more hair loss, and they are currently experiencing a lot of miniaturized hair. PRP treatment stimulates growth and attracts stem cells. Platelets stimulate the healing process due to powerful cytokines, growth factors, and other regenerative and healing molecules. An extremely important function of platelets is their ability to release powerful growth factors, which are responsible for almost all repair processes that occur in the body. These growth factors are called cytokines. Cytokines play a very important role in cellular communication, and accelerate tissue and wound healing. PRP is a concentration of these growth factors and many proteins that collectively stimulate repair and regenerate. By concentrating them, the regenerative properties of these cells are harnessed to make thinning hair get thicker when used as a stand-alone procedure for thinning hair. As a result of new scientific research, PRP therapy has been added to many physicians’ offices as an all-natural medical procedure for hair loss or conditions causing hair thinning. The recovery from PRP treatment is typically uneventful. Pain is easily managed in most cases with non-narcotic analgesic medication such as Ibuprofen. 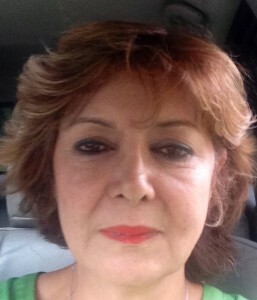 Some mild swelling of the forehead is occasionally seen 4-6 hours after PRP injections. This is normal and will resolve in 48 hours. Avoiding vigorous activity is recommended until the swelling is gone. There is no other downtime or noticeable effects of the procedure. Patients can wash their hair normally immediately after the injections. If you’re ready to try PRP for Hair Growth, visit Vivia Center in McLean, VA to talk to a skincare expert today.